The PLUS N-32W Network Capable Electronic Copyboard - 428-291 designed for those looking for a great presentation tool for their business. 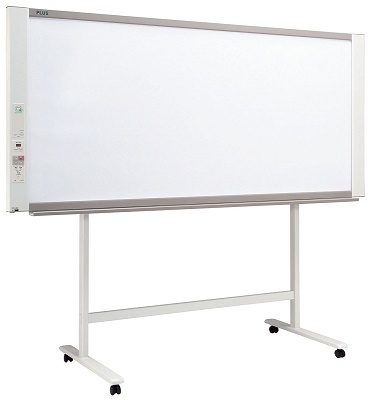 This PLUS N-32W Network Electronic Copyboard helps in making training sessions interactive as both trainees and trainer can make their point clear by writing on the screen using the digital markers. Marker of PLUS N-324 Network Copyboard is available in black, red, blue, and green color which can be used to highlight various points. The Network Capable Electronic Copyboard has PC and USB connectivity capability which allows you to download the presentations to your computer and USB device. You can convert hard copy to soft copy and vice-versa using scanning and printing feature. The Network Copyboard PLUS N-32W can be placed on the floor using a floor stand or mounted on a wall using a wall bracket.